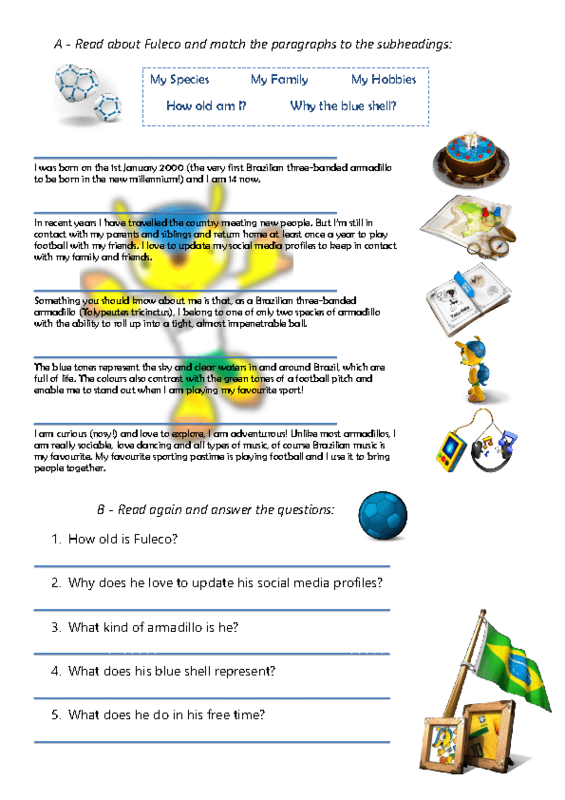 This is a reading comprehension about the Fifa World Cup Mascot Fuleco - Brazil 2014. All text and images (except exercises) were taken from Fifa official website mascot.fifa.com. 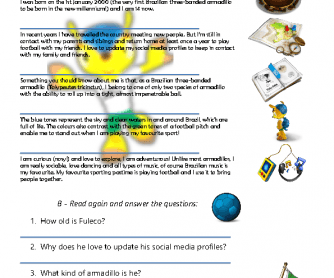 I hope you like it and use it with your students during this World Cup!